Marinate mutton pieces with ingredients under marinating for 20 minutes. Heat a tablespoon of oil in a pressure cooker. Add crushed pepper and sauté in a low flame for a minute. Add ginger, garlic and green chilly; sauté for a minute. Add all the powder and vinegar one by one in a low flame by mixing well after each addition. Add marinated mutton pieces in to it and sauté for 5 minutes until mutton pieces are browned in color. Add little water (less than 1/4cup) and pressure cooks it for one or two whistles. 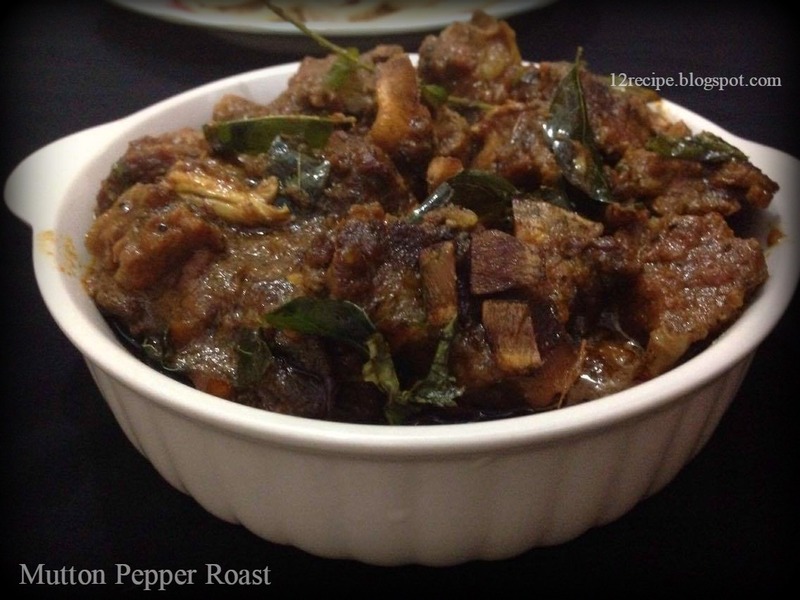 After releasing the pressure by itself open the cooker and transfer the mutton to a clay pot or another open cooking pan. Cook it again for about another 30 minutes or until the mutton pieces are nicely cooked and become tender. Switch off the flame and do seasoning. Heat oil in a kadai, when it is hot add the coconut pieces; when it turns to nice golden add chopped shallots and saute for few minutes, add curry leaves and switch off the flame. Top it over the curry and cover the pot for 10 minutes. After that mix well and serve hot with the choice of your roti or rice. 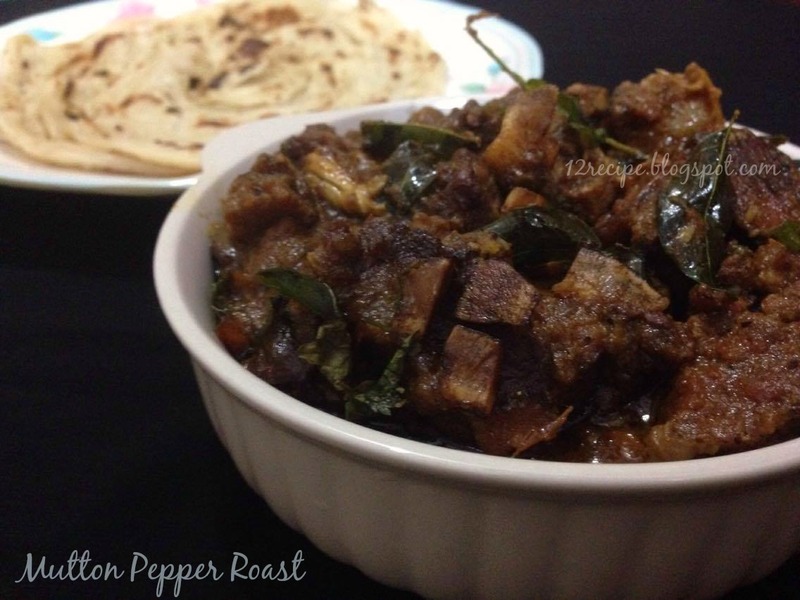 Note:You can cook the mutton pieces in pressure cooker only and directly do the seasoning; but of course; slow cooking makes the mutton roast more tasty! !